The Kia Sorento has always been one of the best-selling SUVs in its segment and the 2019 model is sure to continue this legacy of continuous success. As a matter of fact, many Kia customers are calling the 2019 Sorento the best one yet! With that in mind, it's no surprise that so many of our loyal customers can't wait to claim their very own 2019 Kia Sorento in Houston, TX. 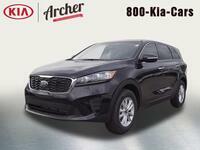 Before you and your family take a walkthrough of our new car inventory, you may want to learn what makes the 2019 Kia Sorento even better than its predecessors. Simply put, the 2019 model has received several improvements inside and out, and we'll be highlighting a few of the most important ones below. Keep on reading to learn everything you need to know about the 2019 Kia Sorento! The Kia Sorento has always been a top-tier family car, but the 2019 model takes it to the next level, as it can fit more family members than ever before. New in the 2019 production year, every model of the Sorento now seats up to seven passengers with standard three-row seating. With this key change, the Kia Sorento can accommodate many more families, which is especially good news for those who are still welcoming new additions to their families and plan on doing so in the years ahead. Speaking of welcoming new additions, the 2019 Kia Sorento is very happy to host more technology systems and features than any of its predecessors. While all models have an abundant variety of standard features—such as Apple CarPlay and Android Auto—there are certainly some enticing new incentives in the higher trim levels, too. Newly added for the 2019 model year, the Kia Sorento now offer an available wireless charging tray for compatible smartphones as well as a 10-speaker Harman Kardon sound system. This state-of-the-art system provides its listeners with an unrivaled audio experience, as it's cleaner, smoother, and simply more breathtaking than the competition. Ready to get behind the wheel of a 2019 Kia Sorento in Houston, TX? 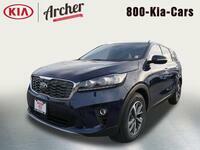 Come on down to Archer Kia! We'll take care of everything, and you'll be on your way home with a new Sorento before you know it! We hope to see you soon!